The first thing I taste right away is a blend of garlic and cayenne, with some saltiness coming in later. The chewing brings on a bit of sweet, but with more cayenne definition, and perhaps increased onion and garlic. I want to say there's oregano in it too. For being marketed as, "Cajun" and tasting as if it came straight from the Bayou, it seems to hold up well. It has a seaoning flavor much like Tony Chachere's Original Creole. It has a noted cayenne pepper, but flanked with onion, garlic, and oregano flavors. It's also marked as "Medium" in spiciness, and seems to hold up to that as well. That's about what I would rate it on my heat scale (level 3 out of 5). The meat consistency is chopped and formed beef, shaped into bite-sized strips. 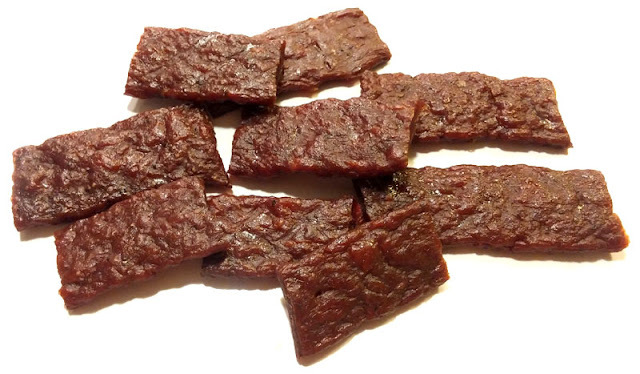 It's a little more chewy than the company's "Sweet Teriyaki" and but a tad more soft than their "Original Hickory". 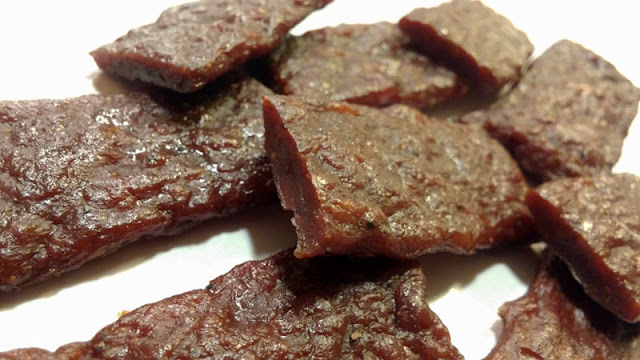 It has a meaty chewing, and almost a steak-like chewing texture. These have a slightly oily handling. 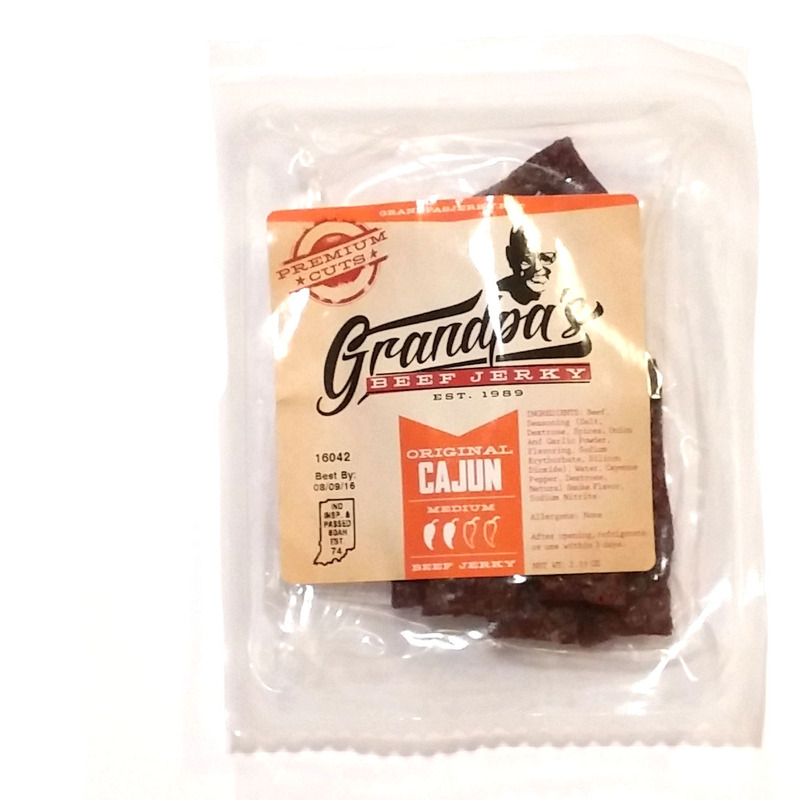 This Original Cajun from Grandpa's Beef Jerky seems to deliver a seasoning that does indeed resemble Cajun cuisine. It has a Cajun-style spiciness without being too spicy. It like the balance between tenderness and chewiness, and the meaty chewing texture. As a Cajun beef jerky, however, it doesn't really go beyond with anything new or extraordinary. It's otherwise, good product that delivers on its flavor.